Looking Into the Earth comprehensively describes the principles and applications of both 'global' and 'exploration' geophysics on all scales. It forms an introduction to geophysics suitable for those who do not necessarily intend to become professional geophysicists, including geologists, civil engineers, environmental scientists, and field archaeologists. The book is organised into two parts: Part 1 describes the geophysical methods, while Part 2 illustrates their use in a number of extended case histories. Mathematical and physical principles are introduced at an elementary level, and then developed as necessary. Student questions and exercises are included at the end of each chapter. 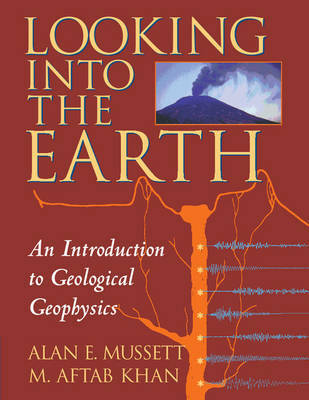 The book is aimed primarily at introductory and intermediate university students taking courses in geology, earth science, environmental science, and engineering. It will also form an excellent introductory textbook in geophysics departments, and will help practising geologists, archaeologists and engineers understand what geophysics can offer their work.